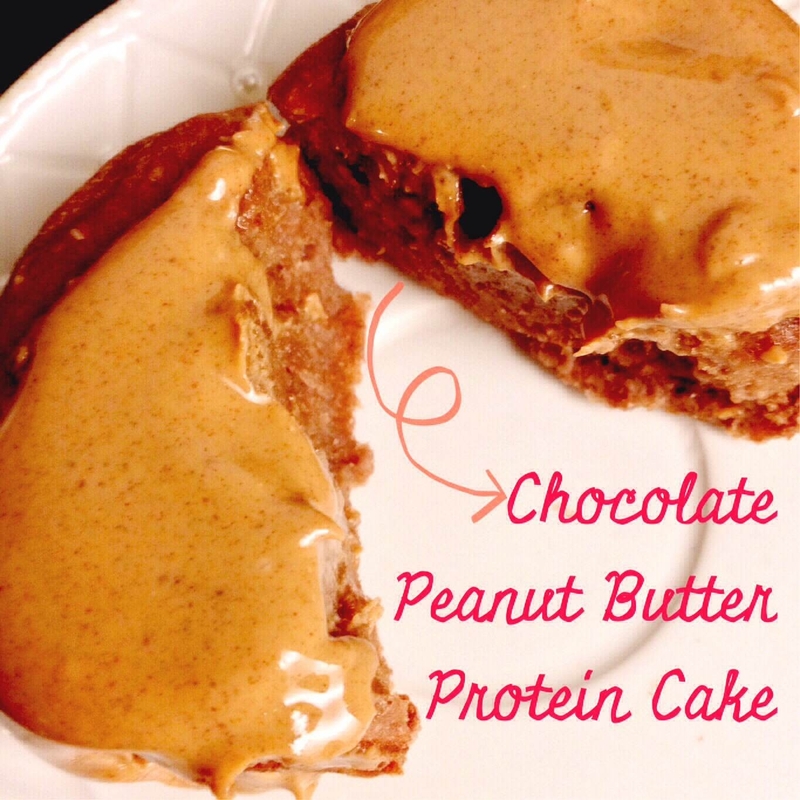 Five ingredients come together to make a delicious, clean, protein-packed treat! Note: Type of flour and protein powder are up to your own preference. 1) Preheat oven to 350. 2) Combine all ingredients except peanut butter. 3) Put in non-stick muffin tin (or muffin tin lightly greased with coconut oil). 4) bake for 10-12 minutes. 5) Put a 1/2 tablespoon dollop of peanut butter on each cake and continue baking for 2-3 minutes. 6) Enjoy! !